Paint Your Own Car! 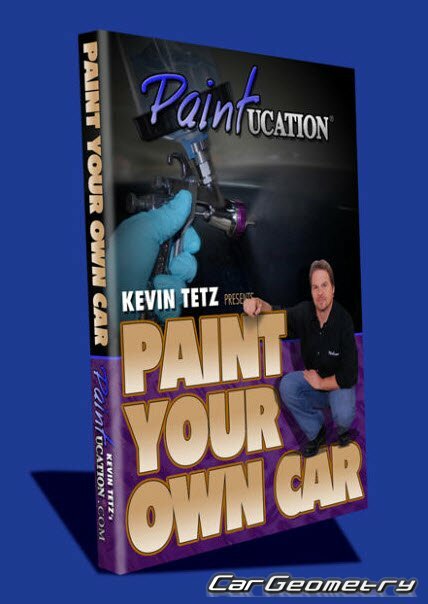 is one of most sought after instructional products on the market... Now with an all new production, Kevin Tetz, Americas Auto body coach walks you through a complete paint job, with a color change, all in a home garage environment! training guides for gun technique, rust repair techniques, many time saving tips on blocking ( the heart and soul of a paint job) and achieving a perfect ground coat are clearly shown in great detail. Kevin shows you how to achieve a perfectly even and glossy paint job the first time you spray! If you follow Kevin's instructions, you're guaranteed to come out with a great paint job the first time! Use Kevin's careers-worth of knowledge in this DVD presentation, and save thousands of dollars in the process!